There are features that, in the collective unconscious, are typical of womankind : weakness, frailty, fickleness. Most of all, as trivial as it seems, what really makes a woman different from a man is motherhood: even nowadays, in a technologically and scientifically advanced world, the idea of pregnancy and giving birth keeps its original sense of mystery and inexplicableness. From the beginning of time, horror tales have been about scary monsters and scared girls. Women are considered frail and incapable of taking care of themselves, so they need a man to rescue them, protect them and, eventually, marry them. Haunted ladies are the object of desire, never the subject. The only relevant exception in the traditional perspective is the witch “character”: this kind of woman is strong, uncanny and unsettling. Thanks to her powers, she can dominate and manipulate the world around her, humankind included. Witchcraft, though, comes at a price, that bonds her to evil for eternity. Films re-elaborate the imaginary underneath both Victim and the Witch, together with the archetype of the Mother, in order to give fresh blood to the oldest genre in the world. Here are 12 great horror films with female leads, that cover the full range of characters from comic to thriller to horror. “Haute Tension” is an overt homage to ’70s slasher movies and it’s faithful to their gruesome, violent spirit. The plot is linear and clear until the final twist (the one that made Roger Ebert say : “the movie’s plot has a hole that is not only large enough to drive a truck through, but in fact does have a truck driven right through it.”). Aléx and Marie are two university students who decide to visit Aléx’s parents in order to study for the weekend. 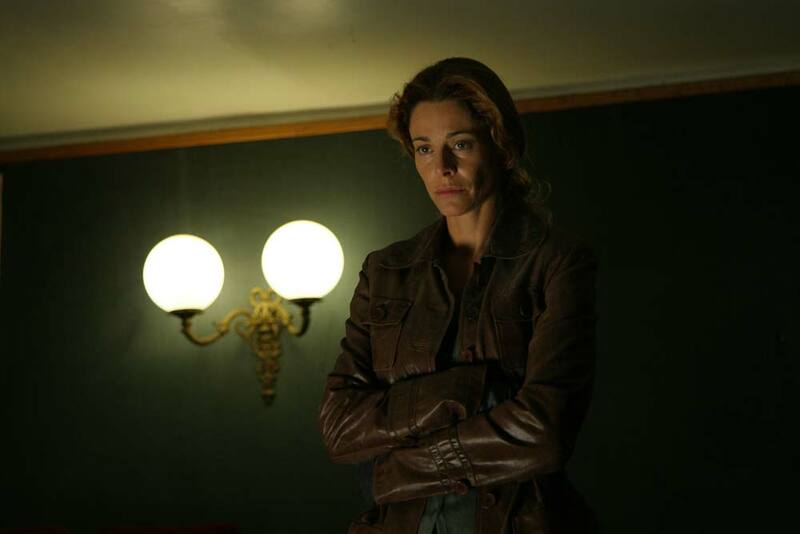 At night a mysterious man breaks into the house and exterminates Aléx’s family, kidnaps her and drives away. Marie hides inside the man’s truck and tries to save her friend. Despite its hard-to-believe ending, the film really does a good work creating tension and rushing the events until the final face-off: the killer is cold-blooded, dirty and wicked; girls try their best to escape but, eventually, the evilness is among them. Therefore, both Aléx and the killer are Marie’s doubles: Aléx represents the feminine and delicate side (despite being resolute at the end), whilst the killer embodies her psychosis. Despite being not particularly original nor innovative, “El Orfanato” really succeeds in defining the main character as both an adopted child and adoptive mother. The film starts when Laura , her husband and their adopted child Simón decide to move into the abandoned orphanage where she used to live. The orphanage seems haunted by some kind of childish ghost or presence, which taunts Laura and communicates only through Simón. Laura and Simón create a kaleidoscopic effect for being both adopted kids: quotes from “Peter Pan” guide the viewer in the understanding, as long as the film goes by. Laura is clearly Wendy, loved as a child, and loving as a grown-up, who’ll eventually become the leader of the Lost Children. Lost childhood is the main theme of this film: through a scavenger hunt the ghosts show Laura, considered as “one of them” now, the horrible things they went through as soon as she left the orphanage. The Orphanage won 7 Goya Awards for Best New Director, Best Original Script, Best Production, Best Set Design, Best Make Up, Best Sound Effect, Best FX. Almost twenty years after the beloved “The Evil Dead” saga, Sam Raimi marks his great return to the horror genre with “Drag Me To Hell”. Christine works in a bank as a loan officer. She’s been promised a promotion as an assistant manager, but to do so she’s forced to deny an old lady a time extension on a loan. She needs that job, since she needs a pay raise to finally get things right with her boyfriend, so she rudely chases the woman away. But when she does so, the lady turns out to be a powerful witch, and places a curse on Christine: if she doesn’t break the spell, she’ll go to hell. Christina goes to a medium and tries to figure out the situation. The film has a good pace, an original input and it’s plain fun to watch. It’s full of blood, vomit and guts, but the cartoonish style makes it easily bearable. 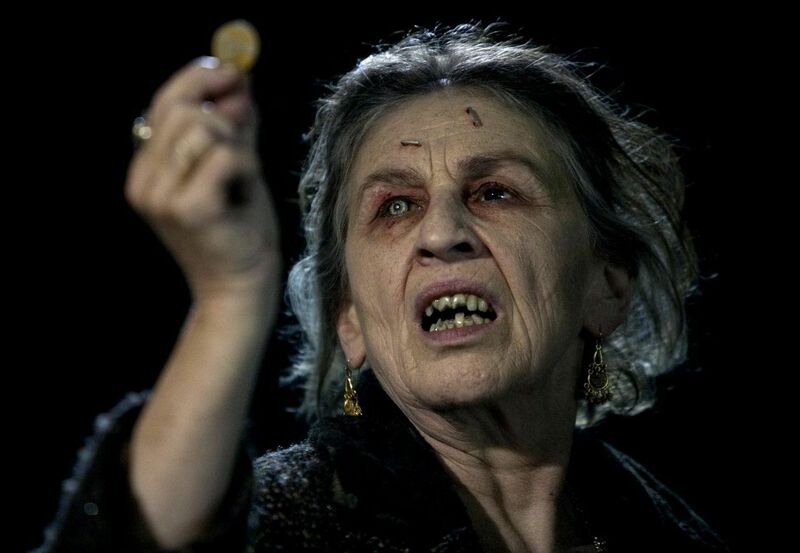 Two different worlds have to face other: capitalistic and occidental modernity against old-Europe powerful mysticism; Mrs. Ganush, the old lady, is in fact an Hungarian gypsy, whilst the psychic is Spanish. Christina is, obviously, the greedy WASP girl. You can enjoy this film as a funny crazy horror, or despise it as a lame predictable joke. Nonetheless, it won’t let you indifferent. 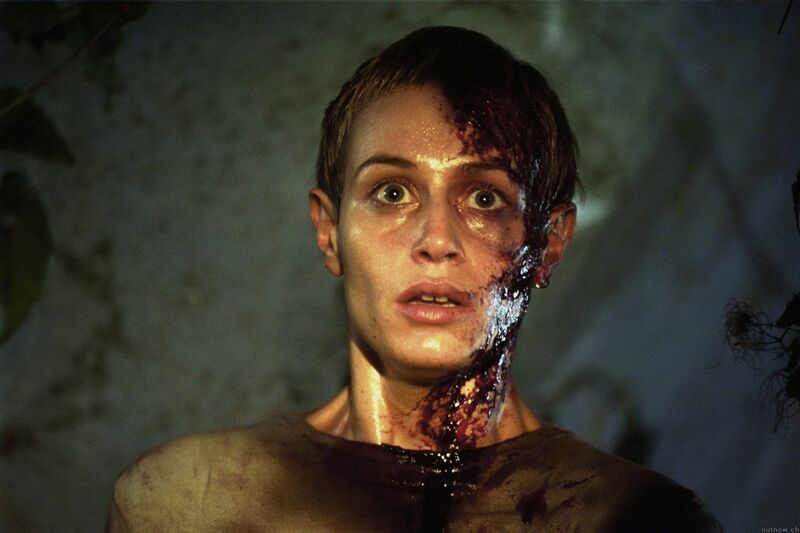 “The Descent” is fairly considered one of the best British horror films from the last decade. A group of female friends reunite one year after a tragic car crash that killed one of them’s daughter and husband. They decide to go spelunking in a cave system underneath the Appalachian Mountains upon the advice of Juno, the leader of the group. Soon it becomes clear that they’re stuck inside the tunnels with no possibility to be rescued and their expedition is just an excuse to restore the relationship between Juno and Sarah, the woman who lost her family. As they go further down the caves, looking for another exit, they are attacked by crawling creatures who kill them one by one. The entire film can be seen as a complex metaphor. The cave can be seen as a reference to Plato’s Allegory of the Cave, where knowledge is just a shadow on the wall and prisoners can be tricked into believing in a greater good. It can also be a trivial reference to the womb, related to the all-female cast, which could also explain the final “re-birth” after a long process of growth and suffering. Each woman represents a different literary tópos: Sarah is the Mother, the Wife, the Heroin; Juno is the Anti-Heroin; Beth is the Faithful Friend; Holly is the Victim; and so on. The flesh-eating crawlers seem just a narrative device to make even clearer dynamics among them, as the film goes on. There is a different version of this film, made for the US theatrical release, with a shorter and happier ending. However, the Unrated DVD release includes the original ending. Like most of the films set in Hollywood, “Starry Eyes” is about cinema industry. Sarah is a young actress looking for the role of her life, but despite attending one audition after the other, she can never succeed. When she starts to feel lost and desperate, dealing with first symptoms of depression and anxiety, she’s noticed by one of the oldest and biggest agency in Hollywood. Celebrity though comes at a price she’s not prepared to pay. Sarah will undergo an actual journey through hell, just to become the icon she ever dreamed of: sexual abuse, satanic rituals and bloody massacres are just the tip of the iceberg of her path to celebrity. The film is full of references to the occult, as well as a strong criticism of the star system as a whole. “Astraeus Pictures” embodies the evil within the thirst for fame, the Great Old Ones of modern time. Sarah is a Faust on a smaller scale, she’s willing to do anything to reach her purpose, even to literally sell her body and soul. She’s oppressed and burdened and vexed until the final rebirth, when she finally sees the light as a brand new being: she goes through a physical metamorphosis from mortal being to eternal diva, leaving a trail of blood behind her. “Starry Eyes” is an indie production and was founded thanks to a Kickstarter campaign. Not every horror film is scary. 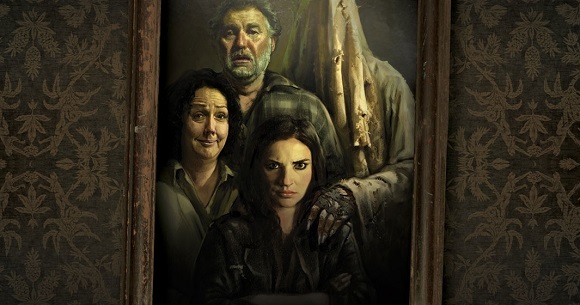 There are plenty of comic horror films worth of time, and “Housebound” is undoubtedly one of them. After a failed attempt to rob a cash machine, Kylie is forced to return to her family’s house to serve on home detention. As if being housebound was not enough, Kylie’s mum Miriam makes the conviction even more unbearable: she’s an unstoppable intolerable chatterbox, she firmly believes that their house is haunted by some kind of ghost and constantly hassles her daughter about it. At first Kylie doesn’t pay attention to her mother’s babble, but when she starts hearing weird noises from the basement she decides to help her finding out the truth. At first sight, the plot may not seem very peculiar, but it really does a good work in changing perspective when you least expect it. The film goes on one twist upon the other, well balancing horror with hilarity. It is fairly great, as both a splatter and a comic film. It effectively mixes hearty laughter with proper thrill and chill: it is genuinely scary and gory, and yet it comes out with extremely funny moments right in the middle of the action. Characters are well defined and create a dysfunctional blend that’s impossible not to love. Kylie is the perfect anti-heroin: drug-addict, nihilist and bitter, but she knows how to deal with “the bad guys” when it comes to it; the relationship with her mother starts as a proper cold war, to end in a “happily ever after” way, even in a completely upside-down situation.